History surrounds Statesville and Iredell County. In 1753, Scots-Irish Presbyterians and German Lutherans who originally settled in Pennsylvania, began arriving here to plant their crops. The settlement, known as Fourth Creek Congregation, was named for the freshwater stream, the fourth creek west of the neighboring settlement of Salisbury. In 1755, the royal Governor Arthur Dobbs authorized a frontier fort about 3 miles north of the settlement. Named after the governor, Fort Dobbs was the westernmost U.S. fort. Daniel Boone and his family stayed within the protective walls of the fort. By 1788 the state legislature divided Rowan County and the new county was named Iredell for James Iredell, associate justice of the first supreme court during the presidency of George Washington. A year later the legislature selected a spot for the county seat and the settlement became known as Statesville. As early as 1833, Statesville's leaders were pursuing the idea of railroads to connect the Piedmont area of North Carolina with the rest of the country. When the rails arrived in 1858, the town was small and struggling to recover from a disastrous fire. Located at the end of the rail line, Statesville soon began growing and soon led the state in the production of tobacco products, the manufacture and blending of whiskey and the distribution of roots and herbs. By 1862 there were 2 railroads in Statesville. After struggling through the war, Statesville encountered its greatest damage 4 days after Confederate troops surrendered at Appomattox. Statesville, once larger than neighboring Charlotte, then began rebuilding. The area average temperature is 60.1 degrees with average annual precipitation at 54.7 inches. The average summer high temperature is 87 degrees with an average winter temperature of 32 degrees. Statesville is home to 2 of the state's most unique and exciting festivals: the CrossRoads PumpkinFest and the Carolina BalloonFest. They feature great entertainment, food, arts and crafts, hot air balloons and, of course, flying pumpkins. Statesville is also home to numerous attractions and activities including the historic downtown, NASCAR, Fort Dobbs, unique local cuisine, arts and culture, museums and more. We also serve as a gateway destination to the North Carolina Mountains, Charlotte, Winston-Salem, Hickory furniture stores and even the nearby Yadkin Valley Wine Region. 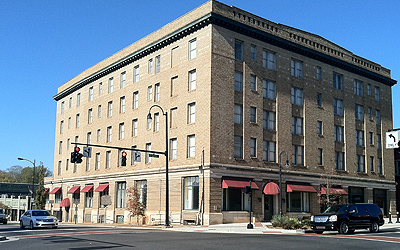 Downtown attractions include Images at the Crossroads, A Walk Back In Time and the Statesville Train Depot. There are 4 residential historic districts listed on the National Register of Historic Places in addition to 47 buildings comprising the downtown commercial district. Area public schools include the Iredell-Statesville Schools and Iredell Partnership for Young Children. Private schools include Statesville Montessori Elementary, Statesville Christian School, Southview Baptist Christian School and others, as well as various charter schools. Area hospitals include the Davis Regional Medical Center, Iredell Memorial Hospital and Iredell Surgical Center plus health care facilities. Statesville offers a wide variety of sports and recreation options. We provide a variety of sporting events, including National Softball Association Tournaments, The North American Sieger Dog Show, Regional Tennis Tournaments and the Snickers North Carolina Youth Soccer Association State Cup. 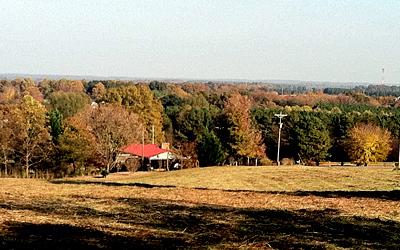 Outdoor activities abound in Statesville. You'll enjoy mountain biking, camping, fishing, horseback riding, swimming, canoeing, gem mining and many more activities. Recreational facilities include Lake Norman State Park, Caldwell Park, Mac Anderson Park, Andrews Natural Area/ASMO Greenway, Newtonville Greenway, Garfield Recreation Center Outdoor Pool and more. Statesville and Iredell County are proud of their productive past and are looking forward to a prosperous future.